WELCOME TO THE CHAARG BOOTYCAMP! This is a month long ((FREE!)) 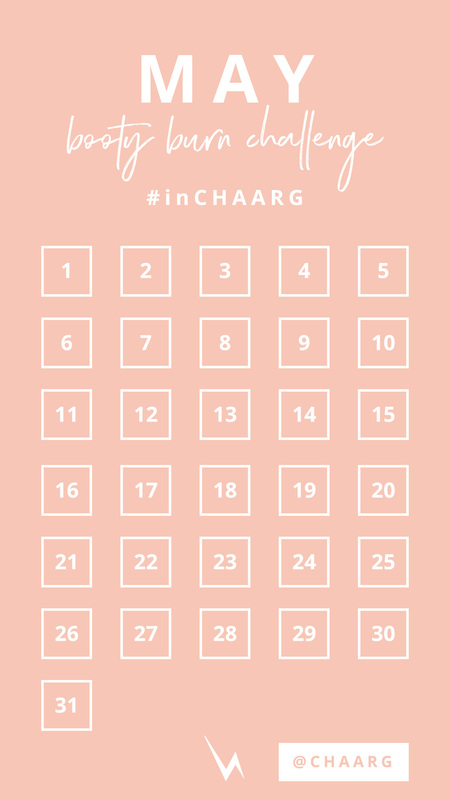 challenge for you to start sweating + getting familiar with the CHAARG Bootycamp exercises… particularly leg + booty exercises! The CHAARG Bootycamp is a virtual, interactive wellness program. Our mission is to give you the tools to create a workout routine, while gaining confidence [+ muscle ; )] in the process. You’ll be motivated by + connected to the 1000+ women across the country who will be completing this program at the same time as you! Our newest sweat sesh accessory, CHAARG Booty Bands!